The bunting banner reads Happy Day on this Art Quilt that combines torn strips of hand dyed fabric. The fabric strips are woven together, creating the background for this garden featuring flowers, grass and a purple bird. 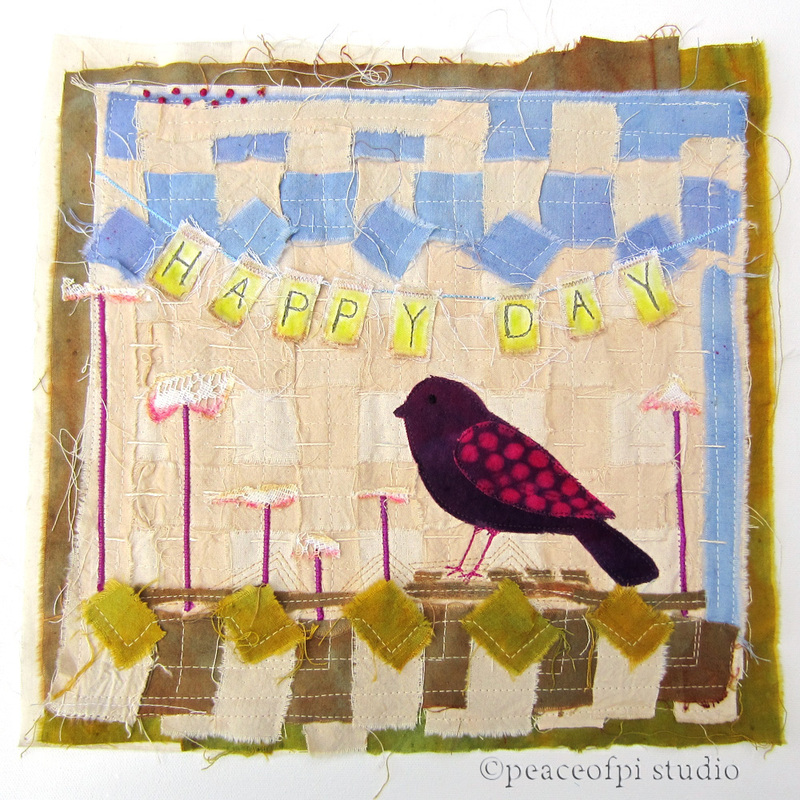 The raw unraveling fabric edges add a wild untamed quality to this sewn folk art piece.